Ah, Uncharted's Nathan Drake — The everyman's adventurer. In a gaming landscape populated with neckless, 'roid-filled space marines and cyborg ninjas, you're here to remind us that being a regular joe on a mystical adventure is its own kind of cool. Drake has gone through a lot of small, tiny changes over the years, but one thing that has mostly remained (somewhat) constant is the 'Half-tuck' — An innovative form of shirt wearing that game designer Tim Schafer once likened to 'an Unfinished Symphony'. Personally, I'm glad he ditched the canvas shoes by game three for a pair of boots. Indiana Jones wears Aldens for god's sake, the least you can do is not show up to the mythical lost city Shambhala in busted pair of Tevas. It's your turn, Kotaku readers. 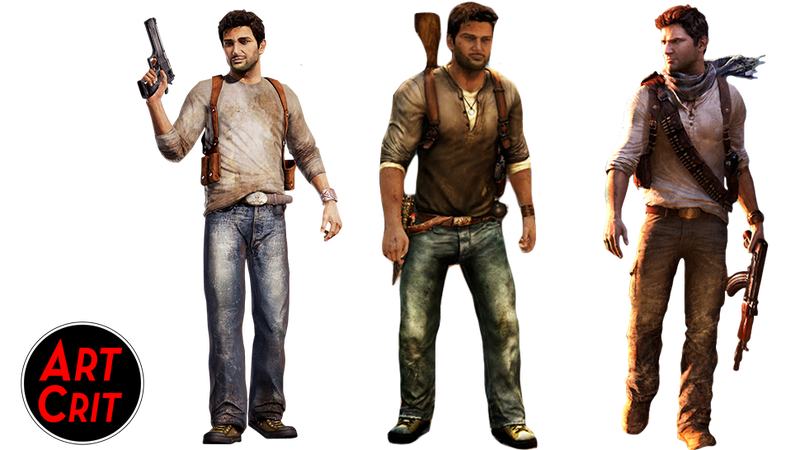 Using our image annotation system, show us what you love (or hate) about Nathan Drake's character design. Just click the part of the image you want to comment on and annotate away!